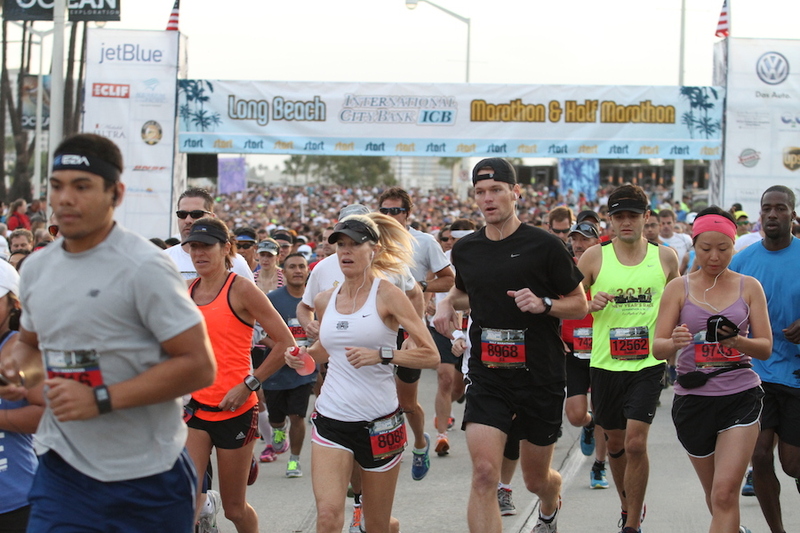 The Long Beach International City Bank Marathon is just over two months away, which means that participants are, or should be, logging hundreds of miles to prepare for the 26.2 endurance test set to take place Sunday, October 12. It also means that thousands of pairs of shoes will cross the threshold where they’re considered no longer fit to train in, and will most likely end up in a closet or even worse, out at the curb on trash day. Waste Management has partnered with marathon organizers and the Long Beach Rescue Mission to stage a shoe collection drive on a scale never carried out before by the Texas-based recycling and disposal service. To commemorate the 30th anniversary of the marathon in Long Beach, Waste Management will be collecting shoes and donating them to the rescue mission an effort to help transform lives, while at the same time keeping usable materials out of the trash cycle. It’s estimated that during training for a marathon or half-marathon, a runner will go through an average of 2-3 pairs of shoes. Although the padding may be worn to the point where they’re not longer beneficial or safe to run long distances in, most of the time the shoes are still serviceable for everyday use. Runners are being asked to save these shoes and bring them to the Waste Management and Long Beach Rescue Mission booths at the two-day Health and Fitness Expo held the weekend of the event in October. Runners can donate old running shoes anytime between now and race day to any of the affiliated drop off locations in and around the city or bring them to the expo when they pick up their race packets. They can also donate funds to go toward purchasing new shoe for those in need. The shoes will be improved (cleaned) prior to being donated to those in the community in need. Waste Management hopes to collect 1,000 pairs of shoes from the several thousand people expected to participate in this year’s full and half marathon events. The shoe drive at the marathon isn’t the first for Waste Management. It conducts an annual shoe collection in Manhattan Beach, but that one pales in comparison to the scale, and what they hope will be the participation level, of the effort at this year’s Long Beach marathon. Orozco is hopeful that people will pull out their lonely, unused running shoes to give them a second life with a new owner. An updated list of collection sites can be found here.